Are you looking for the best point of sale (POS) machines in India? 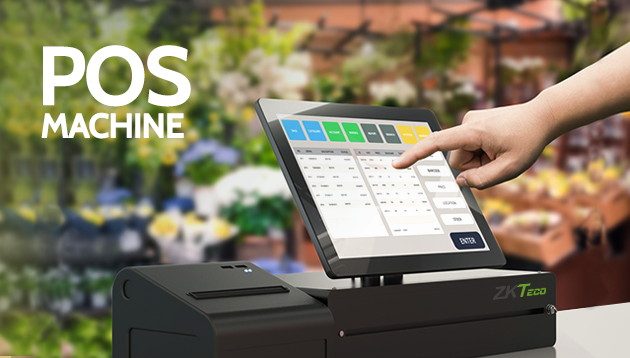 Read this article to learn more about how to choose the right POS machine for your business. Also, find more about Lanoviz, the official ZKTeco India distributor in Karnataka. There are many components of a business concern. Be it generating revenue, training your employees, streamlining your production or marketing, no aspect can be considered simple or ignored. The reason is if you do that, chances are you are going to have to give more attention to the same aspect which you thought didn't deserve any at the first. One of the most often ignored aspect of business concerns, especially in countries like India is the way businesses have come to bill their clients and consumers. There are many advantages of having a smart billing system. In the past, businesses have remained partly dormant because they haven't been knowing what was slowing them down. While one may feel compelled to wonder that after all how much can a billing system make things simple, the answer actually lies in the technological advancements and added features that the modern POS systems have today. This article is dedicated to entrepreneurs and small businessmen who have been struggling for some time with the right billing machine for their business. To begin with, one needs to understand what we mean when we refer to the term 'POS'. The expansion for POS is 'Point of Sale' but clearly, for most people, this is not a self-explanatory term. How about we say in a nutshell that it is the key to doing business without getting messed up logging the records. A POS system refers to a combination of POS software as well as hardware that makes your life easy as a business owner or perhaps a manager. The POS system is the terminal where your customer is going to pay you for the things or services they bought from you a while ago. But wait, why shouldn't I simply stick to my traditional cash register or the old and slow billing machines. The clear answer to this is that modern POS systems are capable of doing much more than simply facilitating smooth payment and billing process. Also, you must not forget that there are various different kinds of POS systems just like there are several different types of CRM software. Also, before you go ahead to pay for the POS you don't actually need, you need to ask yourself a series of questions such as: Are you having a limited amount of fund for a POS system or can you splurge? What are your expansion plans in the long and short term? How do you plan to spend on human resource and training? What are the different things you would want your POS system to do for you? Whether you would like to keep an offline system or depend on the Internet for a cloud-based system? The above-mentioned list is not exhaustive. There are more dynamics that you could take into account depending upon the nature and requirements of your business. While doing our research bit on the advantages of a POS system over a traditional cash register or other billing machines, we got in touch with the experts at LanaTech, one of the premium distributor of ZKTeco security and access control system in Bangalore, who also excel in POS systems. They are of the opinion that having the right blend of POS hardware and the software can go a long way in helping you save on time as well as money in the long run. While the software part is pretty clear and perhaps is the centre of your POS system, the hardware required may include a screen, which could be a standard monitor or an iPad, a barcode scanner, swipe machine for facilitating card payments, a printer to print receipts as well as a cash drawer which you should never try to get rid of. For instance, say you're a restaurateur and have been relying on a cash register for logging payments and billing while to take orders and execute them, you've been relying on the physical tokens that most businesses do. Well, if you get the right POS for your restaurant, all you need to do is log the order on your desk and the chefs are automatically informed about the new recipes they need to prepare. Now, not only does this help you get rid of the printer you were using previously to print out a horde of tokens daily (ugh, you did notice that you'll be saving on the costly token-printing paper as well? ), you'll also not be required to keep at least one person busy to get those physical printed tokens from your desk to the chef's kitchen. What are the added advantages of a POS system? You must be wondering how a POS system can possibly help you strategize for your business. Well, modern POS systems, say, for example, the ones built at LanaTech come equipped with standard sales reporting system which records the sales that happened at your outlet as well as prepare very smartly sales reports with important insights which allow you to make informed choices in the future. If you have been generating less revenue than what you targeted for, you get to understand the key areas where you're lagging behind. Like we stated earlier, there are various kinds of POSs out there. There is some customized/ custom tailored to meet the needs of particular businesses and then there are those which come equipped with everything that any business can possibly require. Depending upon the needs of your business and your plans for the same, if you invested in the right system, chances are your POS will be doing half the chores that a CRM software would have done. There you go on additional savings. Keeping a smart POS system allows you to keep a tab on the inventory and the supplies. If it has been properly integrated, it will also allow you to order a fresh supply of raw materials from your distributor, at the click of a button. Integrate your POS with the time attendance machine to keep a tab on the time your employees come in and go out. Also, your POS system can help you streamline the payment system for your employees. Clearly, modern systems are that they allow hassle-free billing. Use the barcode scanner and the swipe machine which are integrated with the state-of-the-art POS system by Lana technologies, the authorized distributor of ZKTeco in India, facilitate your payments without hurting them in the rear. The added advantage is that these systems also help your manager multitask and keep a tab on various other things than just smart billing. Although you might be new to POS systems, you must make it a point that you explore because chances are that you have been shelling out uselessly on people as well as losing out on time. A smart POS system only requires a one-time investment along with a brief period of training for your employees. Of course, getting adjusted to the new system can be a challenge but that is what experts like Lana technologies are there for. Also, do not forget to negotiate with your service provider for the right after-sale service agreement so you don't regret investing in the first place. If you want a free quote or a briefing, do not hesitate. Contact Lanatech's expert directly and thank us later.